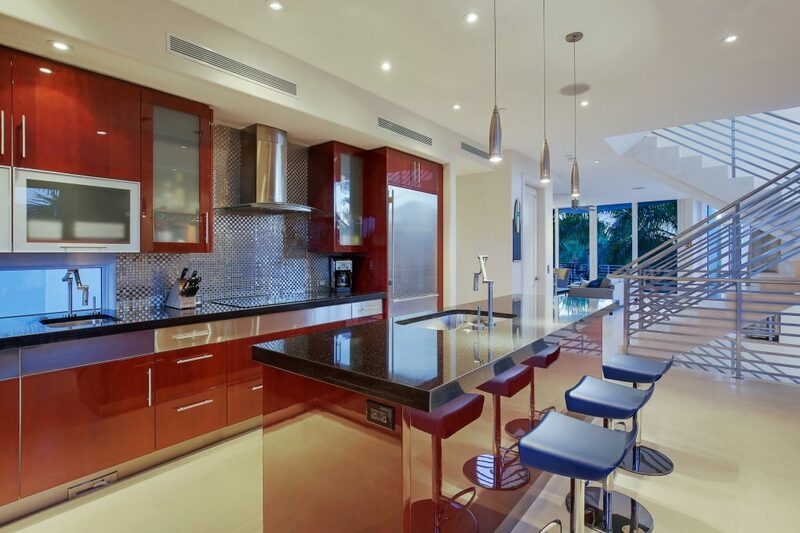 This three-bedroom townhouse in Sarasota, Florida on Siesta Key was designed by Yehuda Inbar, a leader in Sarasota architecture. 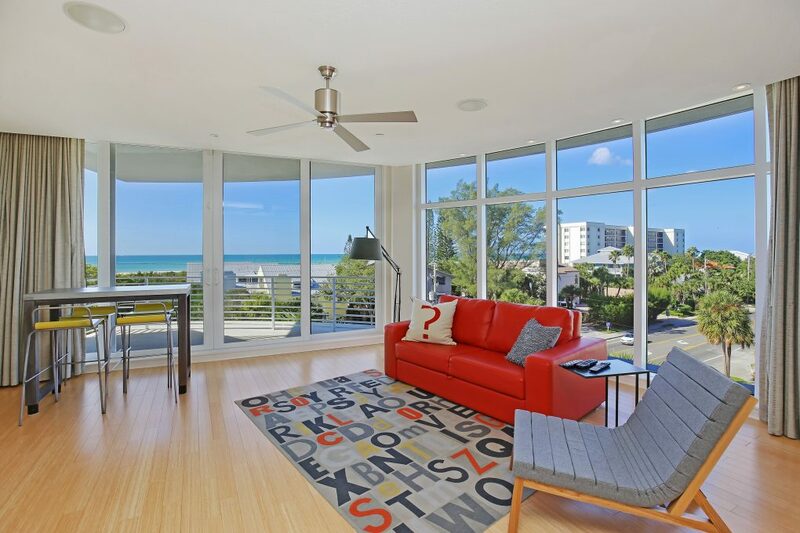 The light and airy ultra-contemporary residence is a masterfully constructed concrete block residence located directly across from the powder soft, dazzling white sands of Siesta Beach. Sensational views over the Gulf of Mexico appear through floor-to-ceiling glass, with free-flowing interior spaces that create a haven of island serenity. 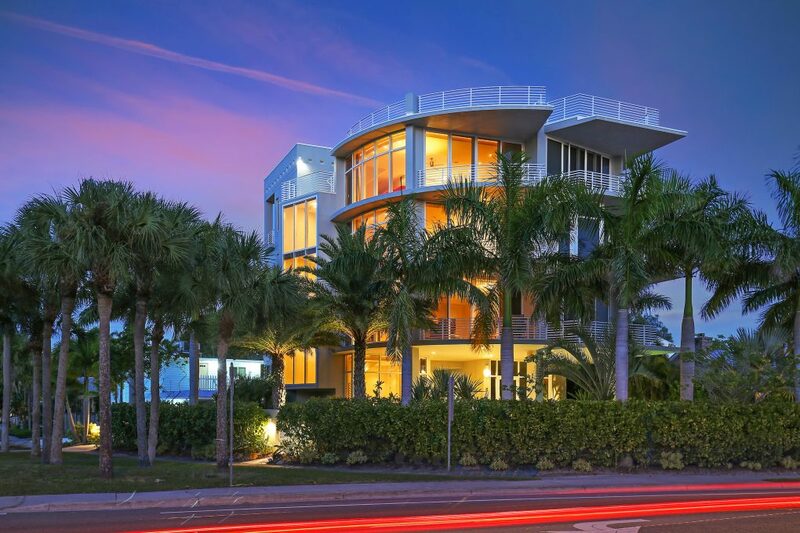 The residence spans four floors, with a private elevator from the garage serving all levels. On the ground floor, you will find a private entry, garage, garden and shared swimming pool. The second level is comprised of a sleek kitchen with a deluxe compilation of appliances, living room, dining room and laundry room. Spanning the third and fourth levels are two master suites, a guest bedroom and family/bonus room. A roof-top deck presents the stunning venue for soaking in the outstanding, unobstructed tropical beauty of the Gulf and beach. This home is listed with $2,495,000 with Michael Saunders & Company and is showcased by Luxury Portfolio.